Home / News / Lorenzana hits Sison anew: "You come back, and you will end up in jail"
Lorenzana hits Sison anew: "You come back, and you will end up in jail"
Manila, Philippines - Defense Secretary Delfin Lorenzana has escalated his word war with Communist Party of the Philippines (CPP) founder, Jose Maria Sison, saying that Sison will end up in jail once he returns to the country. “You (Sison) remain in the Netherlands and you will be forgotten because the President has decided with finality that the talks would be held in our country,” the Defense secretary told the reporters through a text message. “You come back, and you will end up in jail,” Lorenzana said. 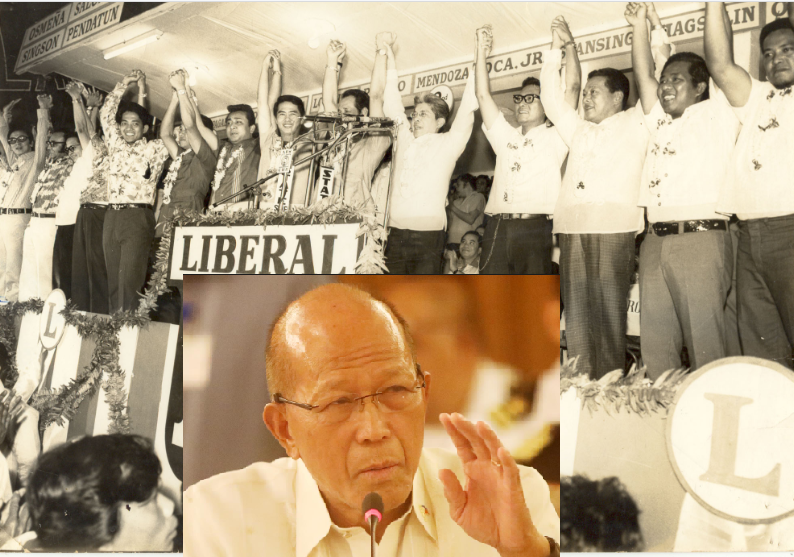 Lorenzana said that Sison together with other communist members should be held accountable for ordering the 1971 Plaza Miranda blast that killed a journalist and injured some members of the Liberal Party (LP); senators Jovito Salonga, Eddie Ilarde, Eva Estrada-Kalaw and Gerardo Roxas as such. “Salonga, however, wrote in his autobiography that he believed Sison ordered the blast, to sow chaos.” The report added. When President Rodrigo Duterte declared the resumption of peace talks, Sison expressed his willingness to make a comeback after years of exile in the Netherlands. Sison, on the other hand changed his mind after the president postponed the peace talks due to some threats raised by the military that rebels might use the chance to reinforce. Presidential Peace Adviser Jesus Dureza, on Wednesday, released some conditions set by the president for the resumption of peace talks, should Sison decided to push through. The following conditions of the government are; no to a coalition government, no to collection of so-called revolutionary tax and no talks outside the Philippines, a ceasefire agreement, and restriction of members of the New People’s Army, CPP’s armed wing, to designated camps. Although Lorenzana acknowledges the statement from the peace adviser that peace talk is still open, he cited two possibilities as well. “What will continue is the localized peace talks by towns, provinces and regions with the NPA leadership,” he added. “Agcaoili is entitled to his warped reasoning. These so-called revolutionaries have one great defect. They espouse something and believe it to be the only truth even if the contrary fact is starting them in the face,” Lorenzana said. “The peace talks will go on with or without Sison, Agcaoili, [Luis] Jalandoni, the Tiamzons and all those ageing so-called revolutionaries whose only claim to fame is to prevent this country from progressing by their atrocities in the countryside,” he said. Meanwhile, acting Interior Secretary Eduardo Año also confirmed the willingness of the government to open the peace talks, but doubts the willingness of the rebels’ side. On June 28, the CPP founder said in a statement that the government failed to agree to their long-standing demands. "Based on the implications drawn from the current impasse, the NDFP can no longer negotiate with a GRP that is headed by Duterte. So long as he heads the GRP, the Filipino people, especially the oppressed and exploited, cannot expect any benefit from negotiating with the Duterte regime," Sison said. "It is relatively easier and more productive for the NDFP to participate in the Oust-Duterte movement and to prepare for peace negotiations with the prospective administration that replaces the Duterte regime," Sison added.